Test the treacherous (and shark infested) waters of tax, bankruptcy, and financial problems. 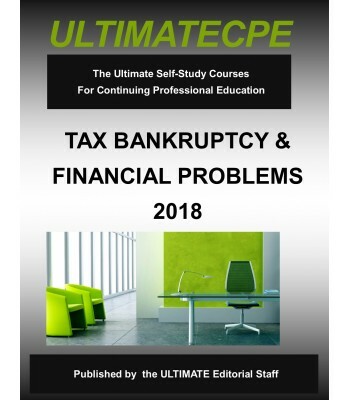 This course will teach participants how to apply, implement, and evaluate the strategic tax aspects of bankruptcy, property settlements, debt cancellation, and foreclosure. 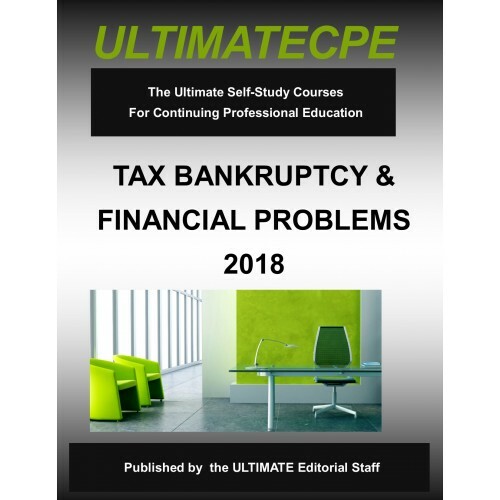 Current perspectives on asset protection, repossession, and bad debts are examined with an emphasis on planning considerations. The cancellation of indebtedness income inclusion rules are examined in the context of debt forgiveness and property foreclosure. Emphasis is given to the exceptions from income inclusion contained in §108. The tax treatment of prop-erty repossession under §1038 is explored with detail given to the calculation of gain and received property basis. Finally, eldercare and estate planning are reviewed and detailed.